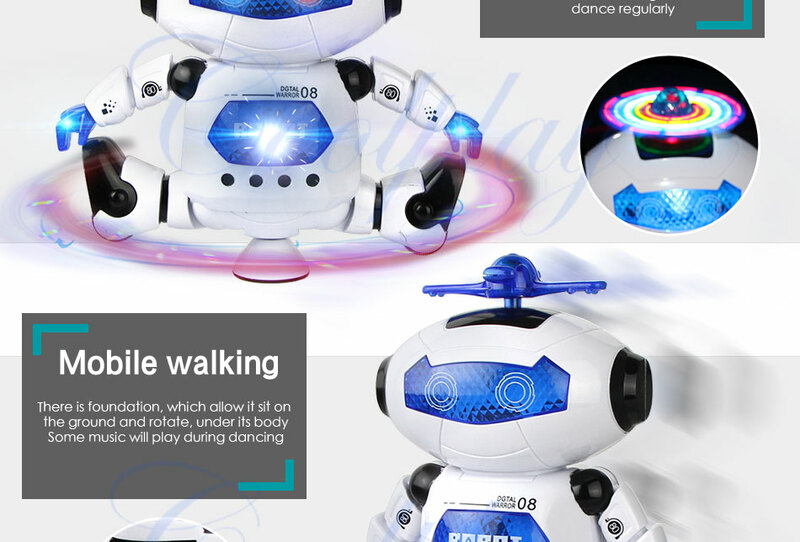 Turn on it,and then its antenna will give out light and rotate like a colorful circular .You can see a red circularon the ground.When it is dancing,its hands will flash light and bob,and it legs will also dance regularly. 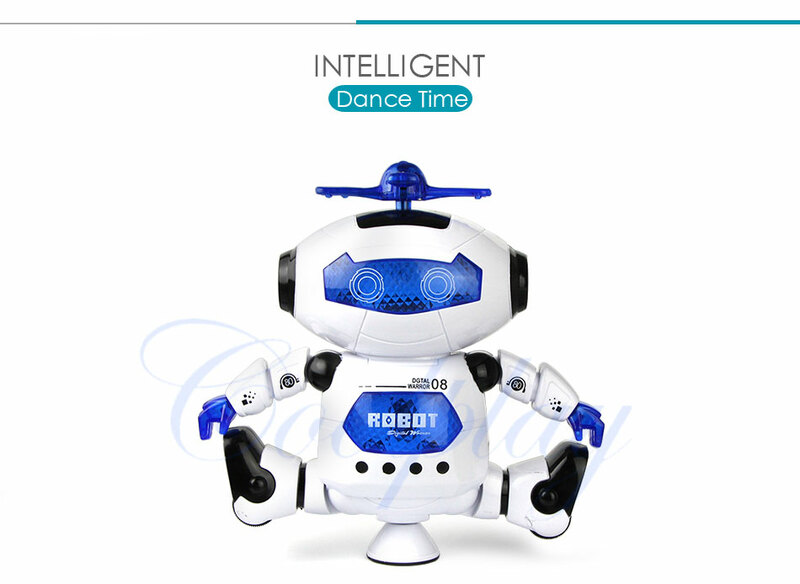 There is foundation,which allow it sit on the ground and rotate,under its body.Some music will play during dancing. 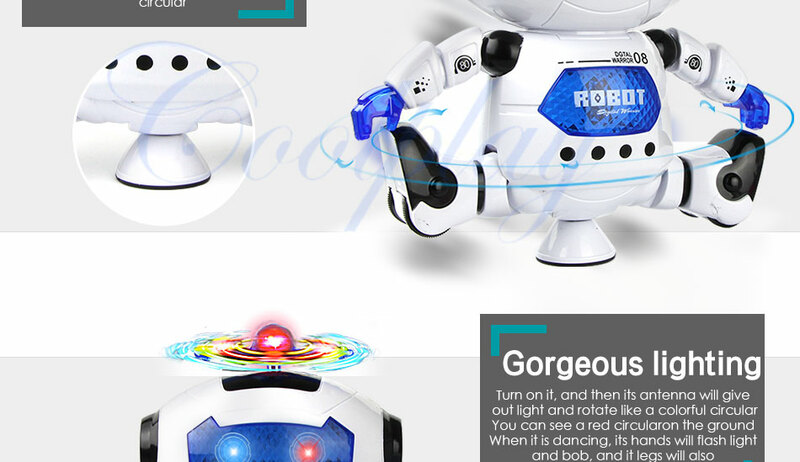 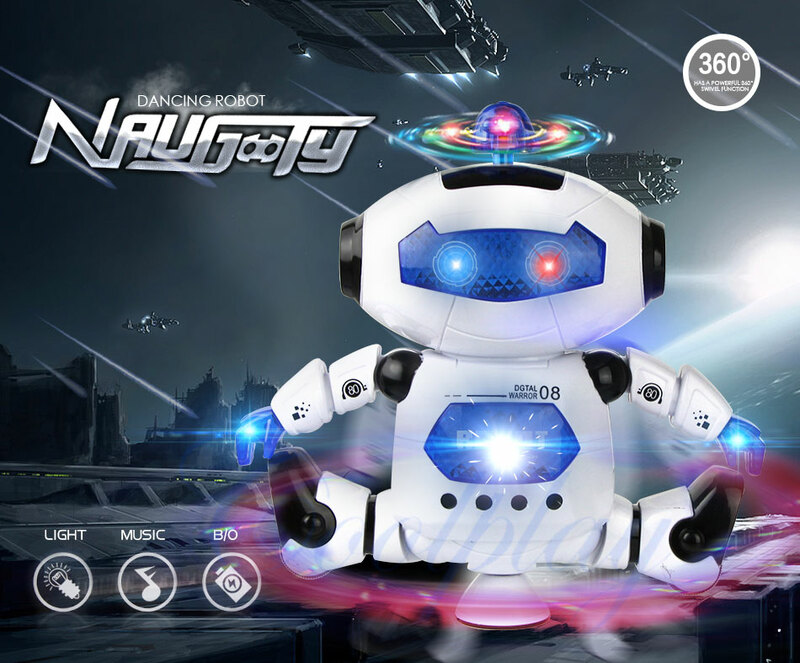 This robot can dance,sing and give out light from its antenna,some music will play during dancing. 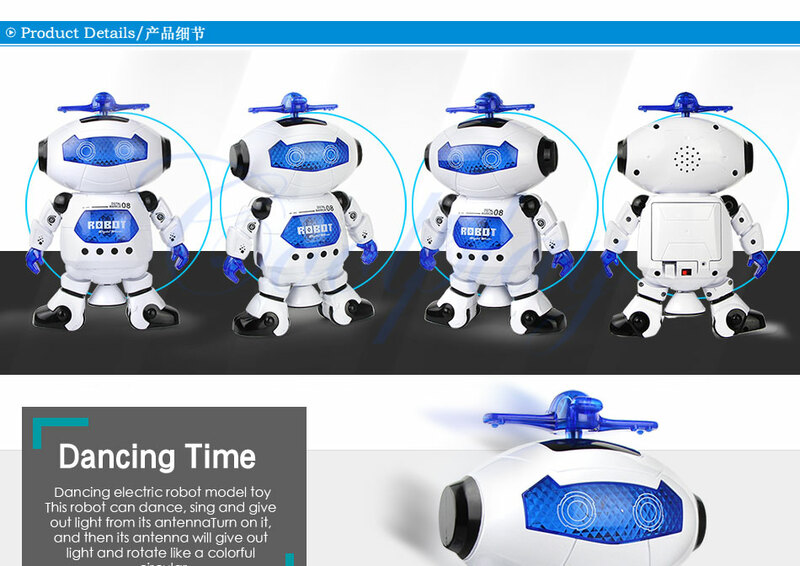 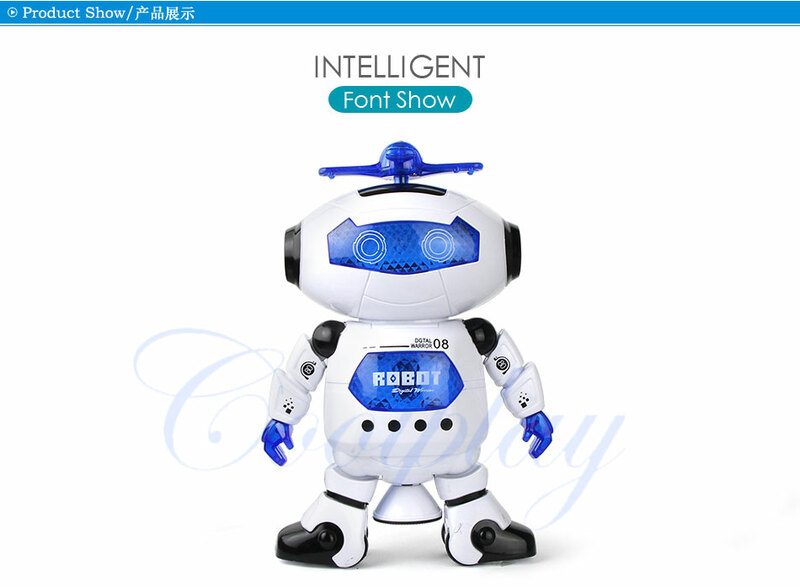 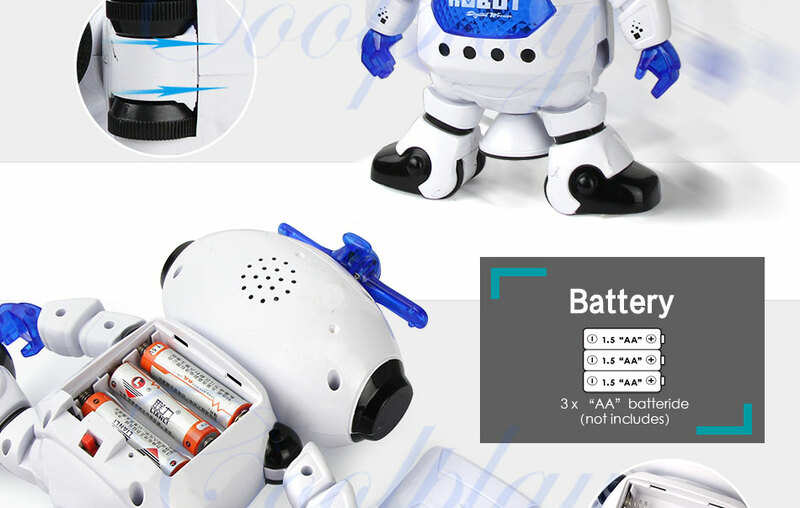 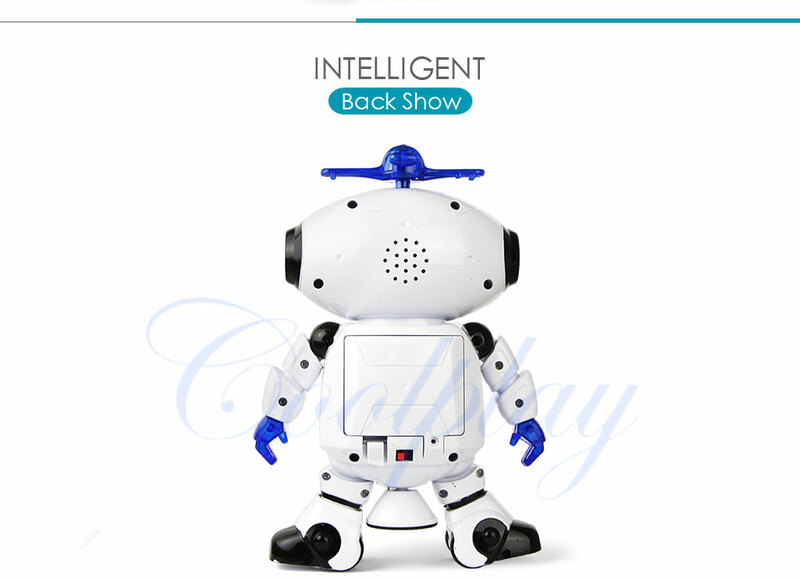 That must be a best gift for the kids and robot fans!